MONTE CARLO, Dec. 2 (Xinhua) -- Sprinting superstar Usain Bolt won the IAAF male Athlete of the Year for an unprecedented sixth time, wihle Almaz Ayana took the female title on Friday. Bolt, who bagged three golds for the third Games in a row in Rio last summer, claimed the track and field's world governing body's year-ending prize ahead of Britain's distance runner Mo Farah and South African Wayde van Niekerk. The Jamaican nine-time Olympic champion of men's 100 meters, 200m and 4X100m relay was previously named Athlete of the Year in 2008, 2009, 2011, 2012 and 2013. "It's definitely a big deal," Bolt told a press conference ahead of the evening's awards gala held at Sporting Monte Carlo. "When you get to be athlete of the year, it means that all the hard work has paid off," said the 30-year-old. "So, if I can win it for a sixth year, it means as much as the first one." His award was presented by IAAF President Sebastian Coe, who sang high praise of the Jamaica, saying "there's been nobody since Muhammad Ali who's got remotely near to what this guy has done in terms of grabbing the public imagination." 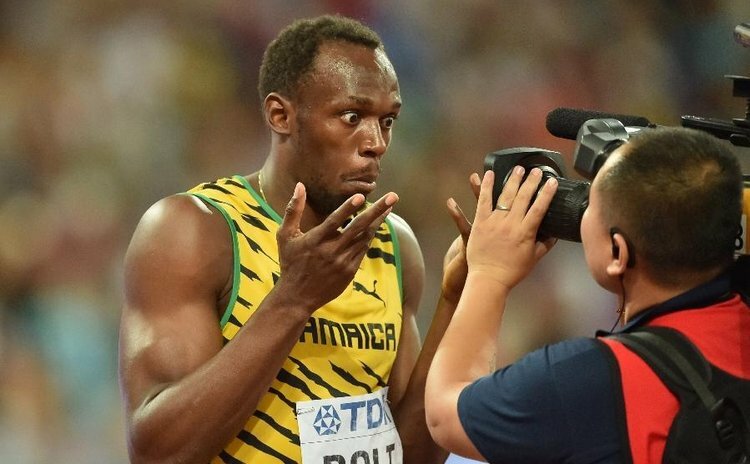 "I live for the moments when I walk into a stadium and I hear a loud roar and Rio was outstanding," commented Bolt. "One of the main reasons I'm continuing for another year is because of the fans; they don't want me to retire. I have to give thanks to them." Ethiopia's Ayana, who broke a 23-year-old record of the women's 10,000m in Rio, won the prize over Bolt's countrywoman Elain Thompson, the 100 and 200m golds winner in Rio, and Poland's Olympic hammer champion and world record holder Anita Wlodarczyk. Canada's Rio 200m silver and 100m bronze medalist Andre De Grasse, 21, was named male rising star of the year, with Belgian Nafissatou Thiam, the heptathlon champion at the Rio Olympics, taking the women's award.